International Human Rights examines the ways in which states and other international actors have addressed human rights since the end of World War II. 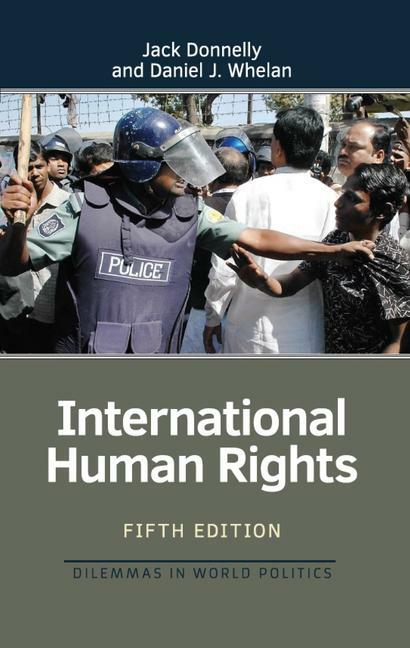 This unique textbook features substantial attention to theory, history, international and regional institutions, and the role of transnational actors in the protection and promotion of human rights. Its purpose is to explore the difficult and contentious politics of human rights, and how those political dimensions have been addressed at the national, regional, and especially international levels. The fifth edition is substantially revised throughout, including updates on multilateral institutions, particularly the UN's Universal Periodic Review process; regional systems; human rights in foreign policy (including a chapter on U.S. policy); humanitarian intervention; globalization; and (anti)terrorism and human rights. The book also includes a new chapter on the unity of human rights, and new case studies exploring the UN Human Rights Council’s Special Procedures mechanisms, Myanmar, and Israeli settlements in West-Bank Palestine. Chapters include discussion questions, case studies for in-depth examination of topics, and ten "problems" tailored to promote classroom discussion on topics such as the war in Syria, hierarchies between human rights, and much more. Jack Donnelly is the Andrew W. Mellon Professor of International Relations at the Graduate School of International Studies at the University of Denver. Daniel J. Whelan is Associate Professor of Politics and International Relations at Hendrix College.